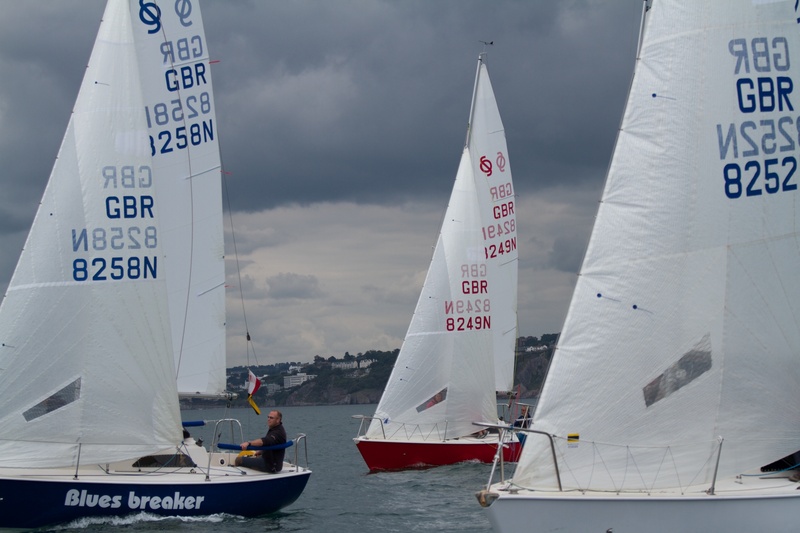 This weekend Brixham Yacht Club hosted the Sonata Southern Area Championships. I managed to get a ride on one of the support boats and get some pictures. Thanks go to Jerry for putting up with a cranky photographer. 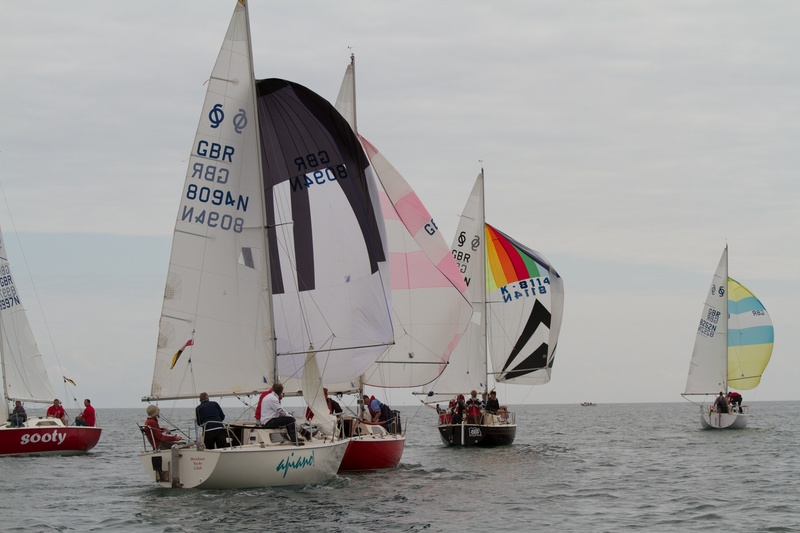 The fleet running in very light airs. 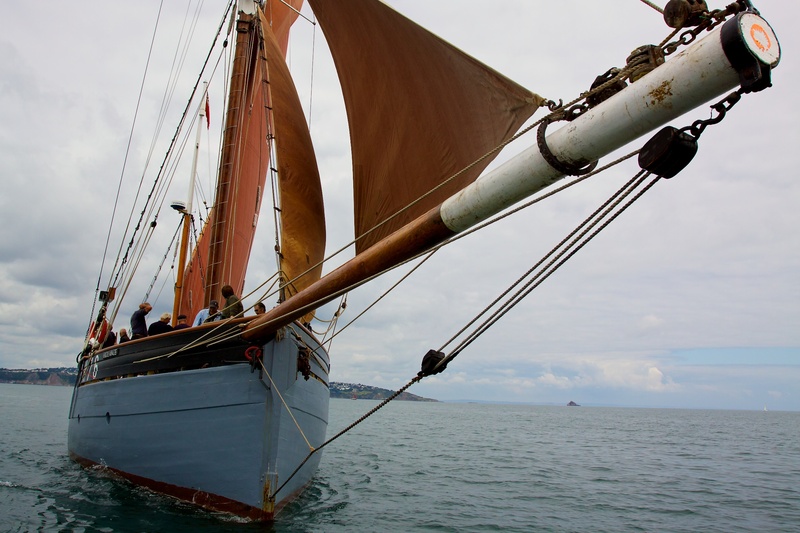 Also putting in an appearance was the sailing Trawler Vigilance. With the aid of the RiB driver, we got very close in. 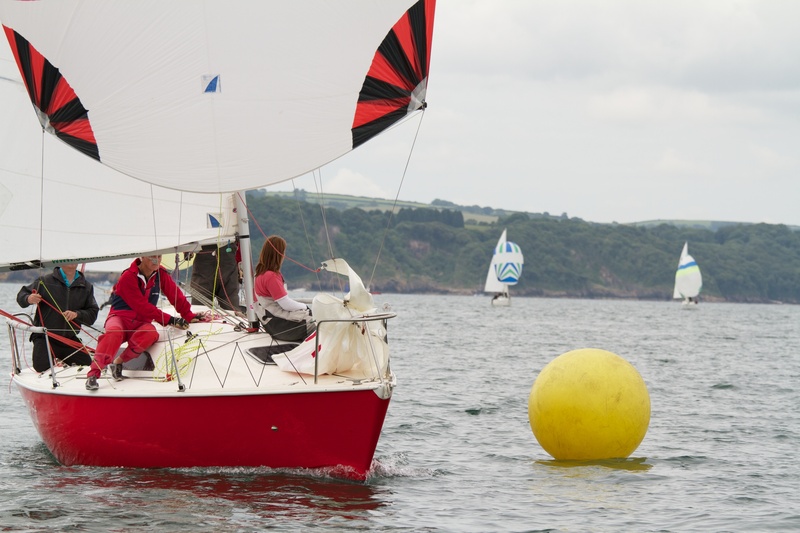 So close I banged my head on the bowsprit.